Ikat is the most well-known print in India. It’s a resist dye technique used to pattern textiles. The word 'Ikat' comes from the Malaysian word 'mengikat,' or 'to tie,' because the loose threads are bind into bundles using grasses or wax-treated cotton to specify where the dye is able to set in and color the thread. The ancient art of Ikat dyeing and weaving was once used to signify wealth and prestige. 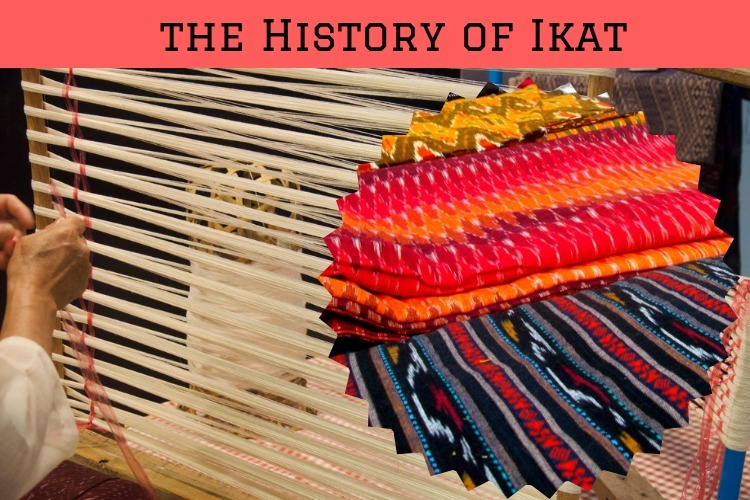 The technique which is known today as Ikat had its origins in various parts of the world such as South East Asia, Central Asia, South America, and West Africa. The process is so tedious and painstaking that Ikat has been entitling as ‘Poetry of the Loom’. There are three styles of Ikat, each categorized by how tough they are to weave. In the easy method, the warp yarns are wrapped and dyed while the weft yarns are a solid colour. With this technique, the pattern becomes apparent on the loom before the weft yarns are even established. In the second variation, the weft yarn takes the pattern which only appears through the weaving process. The third one is double Ikat, where both warp and weft yarns are resist-dyed. These days, Ikat has come to refer to the cloth and pattern also the process, but no matter how or where it was made, its simultaneously indigenous and global vibe continues to greatly motivate both fashion and interior designers alike.